I don't think they make Louis Vuitton motorcycle boots? Does riding on the back of your man's bike make you eligible for membership? coming from a "California" girl, this is exactly the kind of backward ignorant mentality that the club is trying to change. But you go ahead and keep wearing your Louis Vuitton's and riding on the back of your man's bike. Um, did I miss something...it was a joke...obviously someone is a little uptight. As for boots, I don't waste money on LV I have Puma motorcycle boots thank you very much and I don't have a man with a bike. 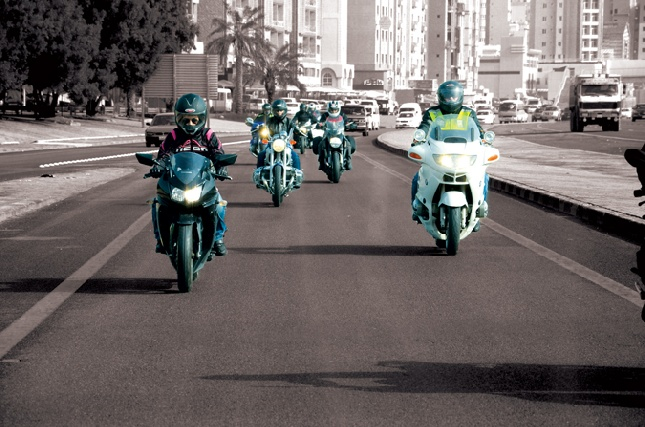 I did the whole bike riding thing when I first came to Kuwait and it was safer, kudos to the chicks who dare to ride in Kuwait, I know I wouldn't, no respect for bikers here. Now, go get a tissue and reapply your mascara and drink some tea because you really need to relax. Im sorry but I have to agree with MotoLadyClubMember on this one. You sound extremely prejudiced in this post. If it was a joke, it was in very bad taste. I have seen many ladies riding bikes out here and they ride with confidence. There's really no need to diss them, is there? First of all I didn't diss anyone, if I were to diss someone I would make a sexist remark about women and bikes which I didn't, second I don't have to explain myself or my comments to anyone. Third if they were true bikes they would be confident enough to blow off any comments made toward them and continue on. Women bikers in the states are tough chicks and wouldn't whine about a cheesy comment someone made so all of you need to seriously lighten up. Oh, come on!!! To quote, "I don't think they make Louis Vuitton motorcycle boots? Does riding on the back of your man's bike make you eligible for membership? ﻿" I'm male and I think this is an extremely sexist and insulting remark!!!! I didn't ask for an explanation. But if you do have a public blog, you should be prepared for the positive and negative comments. You don't expect each and every reader to bow down to your highness and accept everything you dish out! You're entitled to your opinion, but I'm entitled to mine too! So you mean to say you know each and every woman biker in the States and are 100% sure of their response to your sexist (yes sexist) post? That's a bit much, isin't it? Being confident and accepting insults without objecting are two different issues aren't they? When there's cause to lighten up, I do. But I don't think you meant anything in jest here and you're just touchy that it backfired and it's your ego that doesn't let you accept the fact that this post of yours is extremely sexist and extremely insulting to the women bikers in Kuwait. Geez Kev, you must have a lot of free time for this debate. Unlike some bloggers, I don't make money from this blog so I can pretty much say and do as I please. I don't object, everyone is free to disagree. This comment also goes back to something I experienced at a female 'racing event' in which I witnessed females clad in LV trying to race. Yawn. Kevin, you have to keep in mind her comments are related to biker women in Kuwait... and not meant in an insulting manner. Had the post been about female bikers in America she wouldn't have made the "LV/ride on your man's bike" comment. Not because American biker women are better or more respected by her. But because the culture of Kuwait, from my experience, has often been women shopping for high end brands while their only experience on a motorcycle was riding on some guy's. And even then it was 'shameful' for some. I certainly don't see how her comments were viewed as 'dissing'. She's simply pointing out such a dramatic shift in culture. If anything, her comment should be viewed as her giving kudos to this independent movement which is quite different than the Kuwait most of us are familiar with. @AmericanGirl: That's your opinion. I'm not the only one who took umbrage to her post. 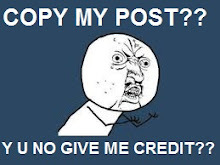 @ Crazy: Because, just as it's your blog and you do as you please, it's my time and I do with it as I please. I don't need YOUR approval to pass my time. What exactly do you want? Us to read your blog and not comment? Or not read your blog at all because, what the heck, it's your opinion and your territory so.... buzz off? Or read your blog and agree with everything you write? I mean. it's your blog, so we MUST do as YOU please. Right? Coz if we don't, we displease you and then are questioned about the excess time on our hands. So every time someone believes in something and opposes it, they do so because they have excess time on their hands? Please stick to the issue. You don't need to get personal and insulting unless you think you are above all of us, which definitely seems to be the case.